Learnapalooza is the only event dedicated to the association learning community. A first of its kind, this session will get you up-close and personal with all the key players in association learning from executive directors to CLOs and training developers. These professionals will attend Learnapalooza to learn the latest trends, tips, tools, and best practices to improve their member-oriented educational offerings. In addition to interactive training sessions, Learnapalooza will be hosting a speed-networking event so that attendees and sponsors have even more opportunities to network. Must be a summit sponsor to take advantage of these additional opportunities. Join us on stage as we announce the winners of the 1st Annual Learnies. Opportunity to welcome guests and MC the Jam Session Speed Networking taking place immediately after the final session for the day. Signage and branding at the Margaritaville drink station. 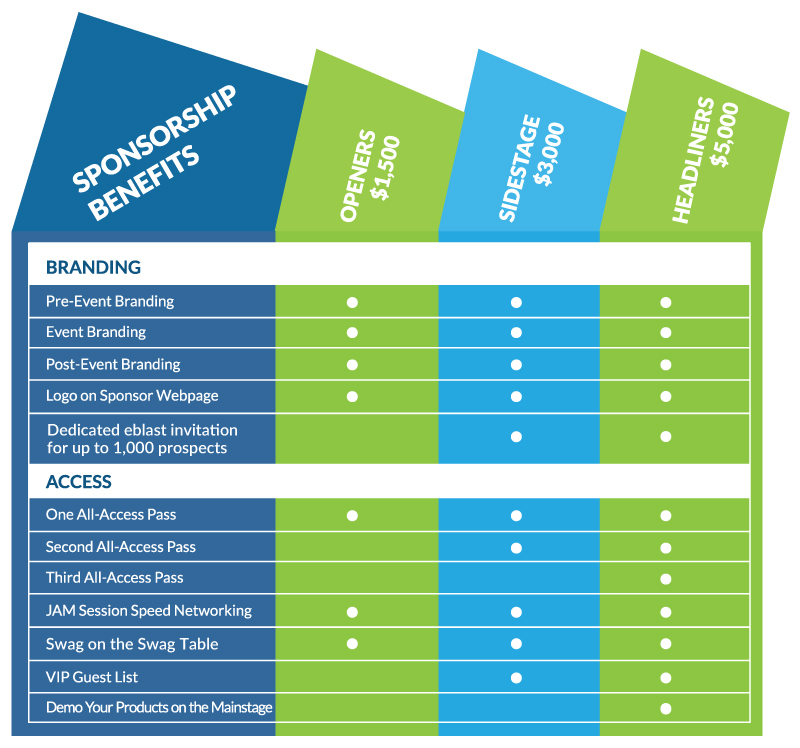 Sponsorship includes branded WiFi access throughout the conference meeting spaces and select hotel meeting rooms. During badge pickup, each attendee receives a branded information card containing WiFi access details. Signage and branding at the mobile device charging station. Speaking opportunity and prominent signage at lunch. Logo on lan yards for attendees.